After your initial set up call with Rock Gym Pro Support, you’ll receive an email from: support@rockgympro.com (be sure to whitelist this email address so the email does not end up in your Spam box). In this email, you’ll see the Username associated with your RGP Cloud account. This is your Organization Admin Username which allows you to create additional seats in your account. 1) Click on the Reset Your Password link in the email. 2) Enter your mobile phone number for Two-Factor Authentication (2FA) security. This is the mobile number you provided on your initial set up call. 4) After your password has been reset, click on Return to login page. You’re now in the RGP Cloud User Dashboard. 5) Click on the Seats link and then the + New Seat button. Personal Seat: Used by a single person and can move from computer to computer (e.g., a manager using a laptop at home or multiple back office computers). Only ONE person can use a personal seat as it is tied to their cell phone for text message security access (2FA). Workstation Seat: Used by one computer and shared by multiple users on the same computer (i.e. a Front Desk or Check-in computer). Workstation seats are secured by a random password that is assigned during the initial connection. No human knows the password and it is stored safely and encrypted on the workstation. Because no human knows this password, you cannot use this seat on another workstation - the seat is limited to this workstation only. If in the future, you need to change the workstation assigned to the seat, you can just reassign a new one-time password (see below) and repeat the steps on the new workstation. Standard Seat = User can only view ‘Facilities’ tab in the Dashboard. Cannot add seats. Organizational Admin Seat = Can change user profiles and activate/deactivate/add seats. Group Admin Seat = Used by large and multiple facilities that want to create groups to isolate certain types of users based on their duties or location, for example. The new Personal Seat has been added! 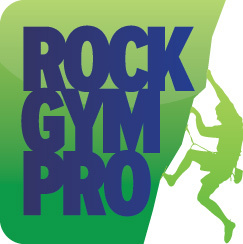 The user will receive an email invitation from support@rockgympro.com with instructions on how to set up their password. The new Workstation Seat has been added! Now that the seats have been added, you will need to download and install the RGP Cloud Client and create a new Connection Profile on each computer/workstation. When you first set up your Connection Profile, you will be asked to enter your Host and Port. Click on Facilities and you’ll see the Host and Port under the DNS Endpoint:Port column. Example below.